Bring Up the Bodies by Hilary Mantel, Picador, 2012, 406 pp. After finishing Wolf Hall, I couldn’t wait to dive in to Bring Up the Bodies. The story picks up right where Wolf Hall leaves off, with the death of Sir Thomas More. King Henry VII is becoming disenchanted with Anne Boleyn, as she loses her second child. Bring Up the Bodies follows the story forward to the accusations, trial and death of Anne Boleyn, as the King’s infatuation with Jane Seymour grows. As in Wolf Hall, the focus of the story is Thomas Cromwell, and the novel unfolds from his perspective. Mantel’s storytelling makes Cromwell a sympathetic and humane character, a shrewd businessman with a growing fold of young men in his household. However, Bring Up the Bodies shows Cromwell as the legal architect of the trumped-up case against Anne Boleyn and her supposed lovers. 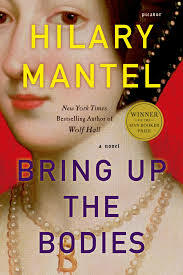 Mantel’s Cromwell is patient and calculating, the perfect embodiment of the proverb, “revenge is a dish best served cold.” The story places the four men accused of cavorting with the queen in a play, years before, mocking Cromwell’s mentor Cardinal Wolsey. Cromwell’s case is his silent, unacknowledged payback. 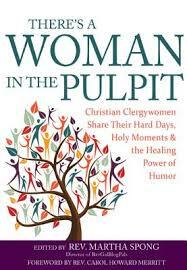 One of the interesting aspects of Mantel’s story is Cromwell’s religious and spiritual life. His intellectual curiosity makes him a Protestant sympathizer, because he believes in access to the Bible, to thought and new ideas. However, he seems distant from God or faith, uncertain of the reality of God, or more importantly, whether God matters at all. If God is real and God matters, he is convinced, it is a God unbound by human limits and human imagination. This interaction with the dying Queen Katherine is an example. Mantel’s writing is just superb. Her style is subtle and direct, just like Cromwell himself. Initially, it appears like it could be dense or dry, especially since the major plot developments are already known by history. However, I find myself turning page after page. Mantel is already at work on the third volume of the trilogy, and I can only hope it will be published soon.